Many thanks to the Centre for Research on Environmental, Coastal and Hydrological Engineering (CRECHE) for hosting Dr. Fabian Wolk, the President and co-founder of Rockland Scientific Inc. (Victoria, BC, Canada), a leading developer of scientific instrumentation for ocean microstructure and turbulence measurements. 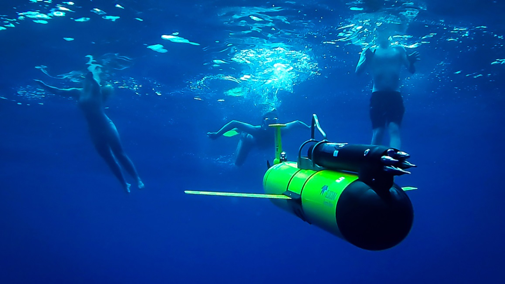 Fabian presented a seminar regarding instrumentation used on robotic autonomous underwater gliders that can be used for long-term ocean deployments that measure mixing and other features of our oceans. CRECHE currently has a project doing such measurements in the Agulhas current off the east coast of KZN – the first such measurements made in this region. 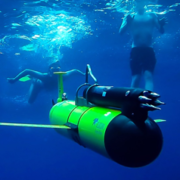 ABSTRACT: The axial speed of the glider, U, is an important quantity that affects the flight dynamics of the glider as well as the accuracy of certain oceanographic observations. For example, accurate knowledge of U is required when converting measurement points from time-domain spacing to spatial-domain spacing. Some sensors, e.g. turbulence shear probes, require U for proper scaling of the measured signal. While U can be estimated from hydrodynamic models, a direct measurement of the axial speed is preferred in many applications. 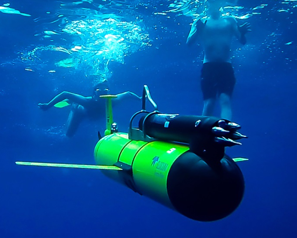 This presentation introduces a small current speed sensor that can be added to gliders to directly measure U to improve glider-borne measurements with shear probes.